Rick Steves Travel is looking for two Tour Sales Specialists (www.ricksteves.com/jobs) to hire by February! Recent graduates are fine – extensive European travel is what they need. Click on or send your browser to the above website for application information. Tuesday, January 27 | 7:00 p.m. Image is proud to host a reading with 2014-15 Milton Fellow Dyana Herron at the Seattle Pacific Art Center Gallery. Herron is spending the academic year in residency at Image and Seattle Pacific University working on her first book-length manuscript, a work of creative nonfiction that focuses on her hometown, her family, and her brother’s federal prison sentence. In addition to working on this project, Herron is also spending the year teaching Imaginative Writing classes at SPU. She has also taught courses at Eastern University in PA and The King’s College in NY. Originally from Tennessee, Dyana Herron has divided the last seven years between Seattle, Philadelphia, and Boston. 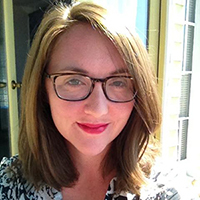 She is a graduate of SPU’s MFA in Creative Writing program, has been a regular contributor to Image‘s Good Letters blog, worked as Creative Writing Editor for The Other Journal, and currently teaches creative nonfiction in The Glen Online. She is also a poet who has been nominated for a Pushcart Prize. She contributed a short essay, “Christians in the Age of Sincerity,” to Image‘s 25th anniversary issue, which featured young artists of faith. This event is free and open to the public. Join us afterward for free desserts! Earn 10 credits: (5 Creative Writing; 5 Upper Division Lit. NO Prerequisites) Meets WE credit requirements. I always wonder about people who go to Rome as they might go, for example, to Paris or to London. Certainly Rome as well as these other cities can be enjoyed esthetically; but if you are affected to the depths of your being at every step by the spirit that broods there, if a remnant of a wall here and a column there gaze upon you with a face instantly recognized, then it becomes another matter entirely. Even in Pompeii unforeseen vistas opened, unexpected things became conscious, and questions were posed which were beyond my powers to handle. –Jung, Carl. Memories, Dreams, Reflections. Vintage, 1965. pp. 287-88. The MA in Management program is having an “after-open house” chat session. On Tuesday, January the 27th interested students can attend the Graduate Center’s Open House event in Upper Gwinn (4:30-7) and then join MAMSSM alumni and current students from 7-9 p.m. at Zeek’s Pizza for a conversation about our transformational Master of Arts in Management program and how it changed their lives. Food will be on MAMSSM, and reps can answer questions about the program, including the types of jobs graduates are able to land, the study abroad program, the networking connections, the guidance in discovering career path, and the real-world projects students experience. Beforehand, there are a number of ways that students can learn about the program: follow it on Facebook, Twitter, Instagram and YouTube. They can also check out the weekly student blog on WordPress, and, of course, the program’s website. You are currently viewing the archives for January, 2015 at English.